As part of the academic exchange initiatives betwen the Sainsbury Institute and Chuo University since last year, a one-day academic workshop will be held in Norwich on Friday 10 April 2015. 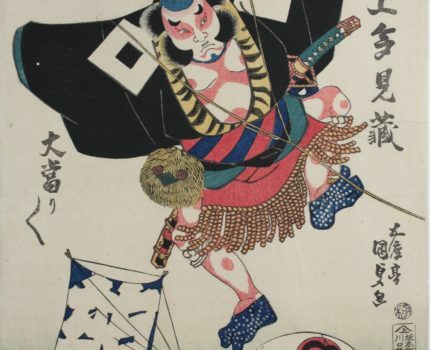 The workshop will bring established scholars from Japan, US, Europe and UK to present new research on the demand, types and distribution routes of ukiyo-e prints during the Edo period. The papers will be delivered in either English or Japanese. The workshop is open to scholars, specialists and students with good working knowledge of English and Japanese. Seats are limited. Please contact Kaz Morohashi at the Sainsbury Institute by 30 March to book your place. The workshop will be held at the Sainsbury Institute, 64 The Close, Norwich NR1 4DH.